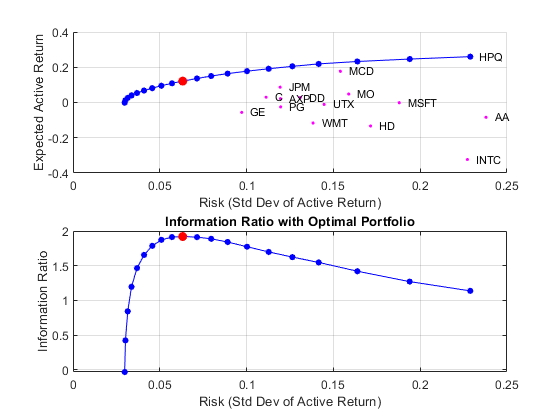 Quantitative investment managers and risk managers use portfolio optimization to choose the proportions of various assets to be held in a portfolio. 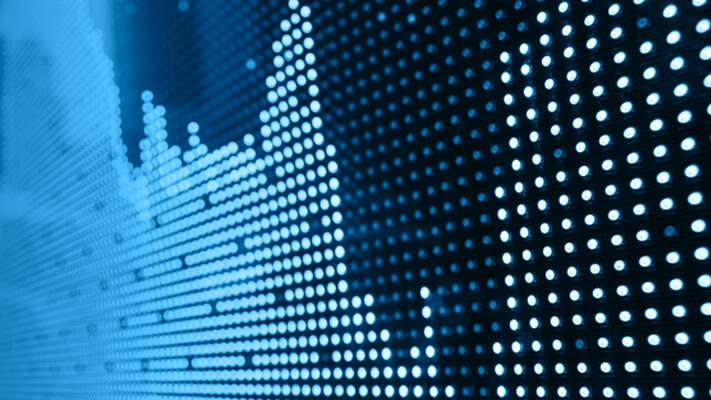 The goal of portfolio optimization is to maximize a measure or proxy for a portfolio's return contingent on a measure or proxy for a portfolio’s risk. This toolbox provides a comprehensive suite of portfolio optimization and analysis tools for performing capital allocation, asset allocation, and risk assessment. 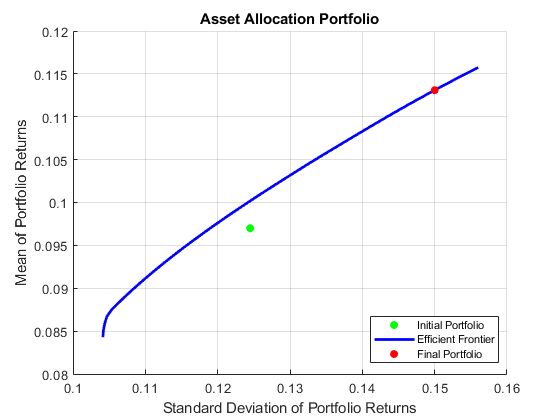 Set up a basic asset allocation problem that uses mean-variance portfolio optimization with a Portfolio object to estimate efficient portfolios. 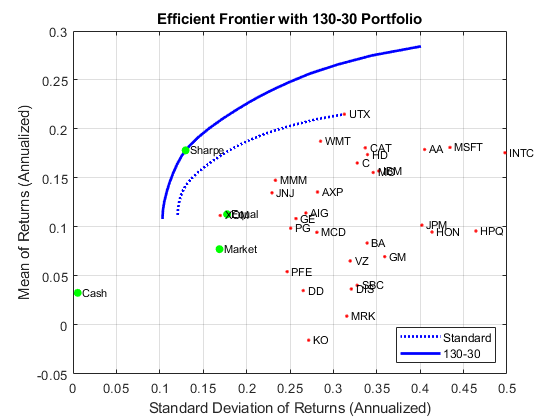 Demonstrates optimizing a portfolio to maximize the information ratio relative to a market benchmark.